Hilton Head, S.C. – Hilton Head Island recently celebrated “Arnold Palmer Day” in conjunction with Palmer’s return to the island for the grand reopening of the Wexford Plantation golf course. Palmer landed on the island Oct. 20 aboard his Cessna Citation, accompanied by members of his design team, and following a tour of the new Wexford golf course that now bears his name, struck a ceremonial tee shot and entertained during a lunch and media event. Palmer first made his mark on Hilton Head in 1969, when he captured the PGA Tour’s inaugural Heritage Classic on then brand-new Harbour Town Golf Links — his victory lending invaluable credibility to a tournament, a golf course and an entire island. Now, Arnold Palmer Design Company (APDC) has added to his legacy on the island again by putting its signature stamp on the Wexford Plantation golf course. In this dynamic pairing, Palmer and his team brought their design style to a unique and elegant, 525-acre golf, yachting and tennis community in the heart of Hilton Head’s bustling south end. 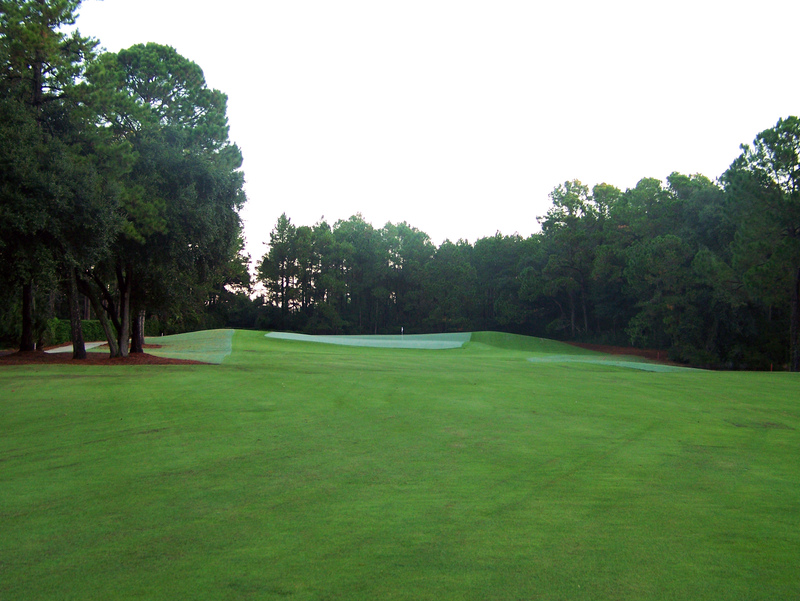 The 18-hole Wexford course was originally designed by Willard C. Byrd and opened in 1983. Wexford celebrated its first 25 years in the spring of 2008 and recently spent $3.9 million renovating its comfortably elegant, traditionally Coastal-style clubhouse strategically located facing Broad Creek’s Marshlands and Wexford’s picturesque private marina isolated by one of only three lock systems on the east coast of the United States. The club shut down its golf course for renovation in April and has now reopened as an Arnold Palmer Signature Course. APDC also renovated the Wexford driving range and golf practice area, mirroring the renovation of the golf course by adding enhanced tee space and target greens, while also improving visibility. “Our intent was to create a new design in the spirit and tradition of America’s classic golf courses and bring a modern interpretation or twist to their enduring standard and a few select template holes such as The Road Hole, Redan, Alps or Biarritz,” said APDC Senior Architect Brandon Johnson, lead designer on the Wexford project. While Wexford will stand as the only Arnold Palmer Signature Course on Hilton Head, this will not be Palmer’s first design in the Lowcountry. APDC also designed Crescent Pointe in Bluffton, S.C., along with internationally renowned Old Tabby Links on nearby Spring Island.